How good are swiss watches? First and foremost, when you come to buy a watch, know your budget. Watches are often compared to cars because of the mechanics involved, but the comparison could just as well apply to your spend. A good Swiss watch can cost anything from £500 to – if you look hard enough – £5m. So it’s a good idea to start your search based on how much you want to invest, and then stick to it. There are no hidden extras behind any Wryst watches you see listed on this site, no question about that. But don’t forget that if you’re buying a luxury timepiece, particularly a mechanical one, that it will need looking after – again, like a car. We recommend you get a new watch serviced every three to five years. Over time, lubricants degrade and need replacing before moving parts start to wear out. Worth remembering before you buy. In the broadest of terms, there are two types of watch; those powered by a mechanical movement, and those by a battery-powered quartz movement. Mechanical movements are made up of hundreds of parts and assembled by hand. Because of this, they are more expensive than quartz, both to buy and maintain. Watch lovers feel mechanical movements, which are either manually wound or automatic, are more romantic and have longer value, which is why so many of the top watch brands still make them, even though the technology is hundreds of years old. Only a few watch houses make their own movements. In-house movements (sometimes called manufacture or proprietary movements) are very costly and the result of years of R&D, which is why brands with their own movements make a big deal of it. Watch buyers are prepared to pay more for them too – they hold great kudos. Most watch houses source movements from one of the specialist manufacturers like ETA, companies that make excellent, reliable Swiss Made movements. Water resistance is often misunderstood – the numbers on the dial or case back should almost never be taken literally. The notation of water resistance to a given depth (e.g. 30m, 50m) is based on the fact that the case has been designed to withstand a static laboratory test to the stated depth for short periods only. Most water resistant watches are not designed for prolonged and active use in water. The only watches designed to withstand these types of conditions are professional divers watches. Watches which are not noted as water resistant should not be worn whilst washing hands, dishes or showering etc. The actual water pressure on the watch during use will be greater than the static pressure. For instance, diving pressure on the watch is clearly greater at the impact point with the water during poolside diving. Condensation can also be a problem. A sealed watch will pick up body warmth in water and this remains in the case. If the watch is then suddenly plunged into water that is some degrees colder, moisture can then be created within the watch and become visible as small droplets under the glass. This normally dissipates of its own accord once the watch is removed from the water, but this not always the case. Watch cases come in all manner of case sizes. The smallest ladies cocktail pieces can be as small as 20mm in diameter, while some men’s watches exceed the 50mm mark. Traditionally, 30-36mm was considered a suitable width for a man’s watch, but in the last decade case sizes have grown. Some say a classic watch at 39mm is the ultimate case size, others feel a watch needs to be bigger, like the 45mm Wryst Timepieces. It’s also worth considering the thickness – Our initial Wryst designs for sports watch collections Airborne, Motors, Shoreline and the Wryst automatic 2824 watches are 13.5mm thick and still wear very comfortably. We have only really scratched the surface of how to go about choosing a luxury watch and what it’s like to own one. Each watch is unique in its own way, just like each of us. 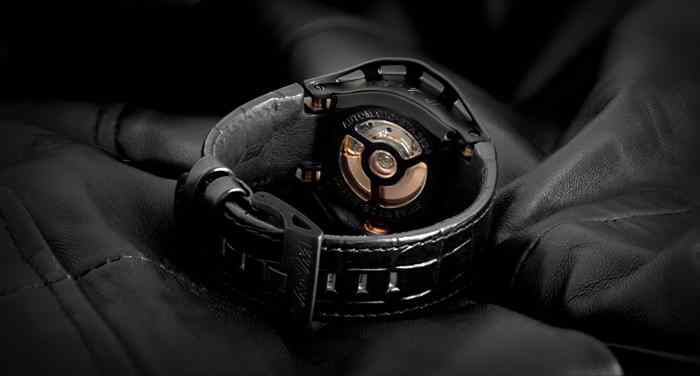 Wryst has a visionnary style with exclusive designer luxury sports watches that have never before been seen. We are constantly seeking new creations that look nowhere near what is and has been available on the market, it is just the way Wryst watches are. a good resistant and durable sports watch.